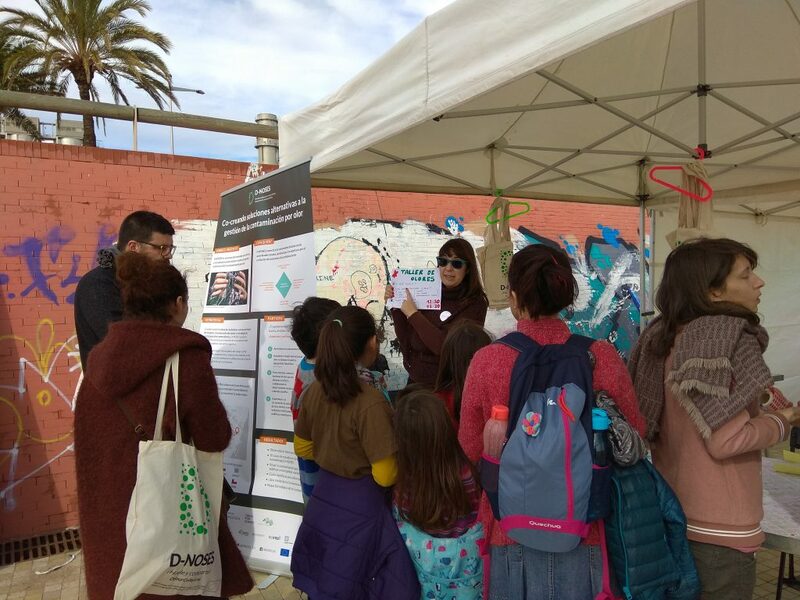 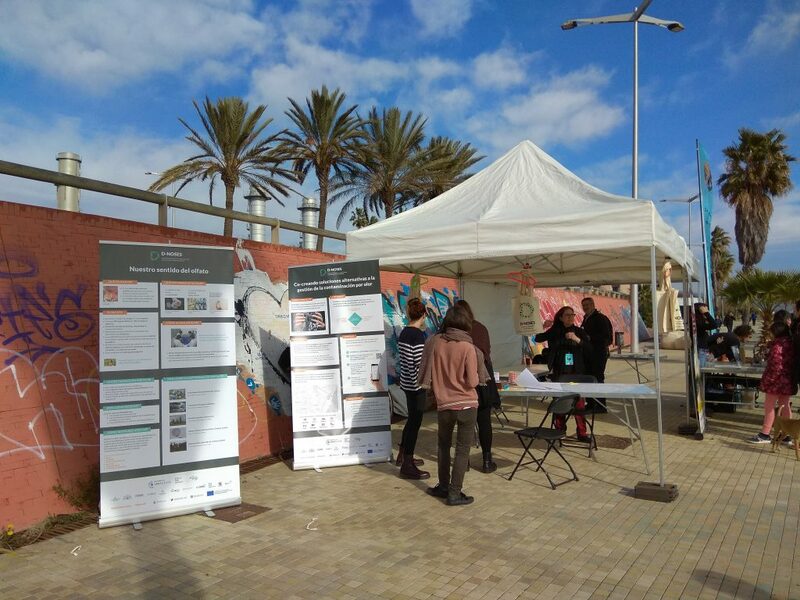 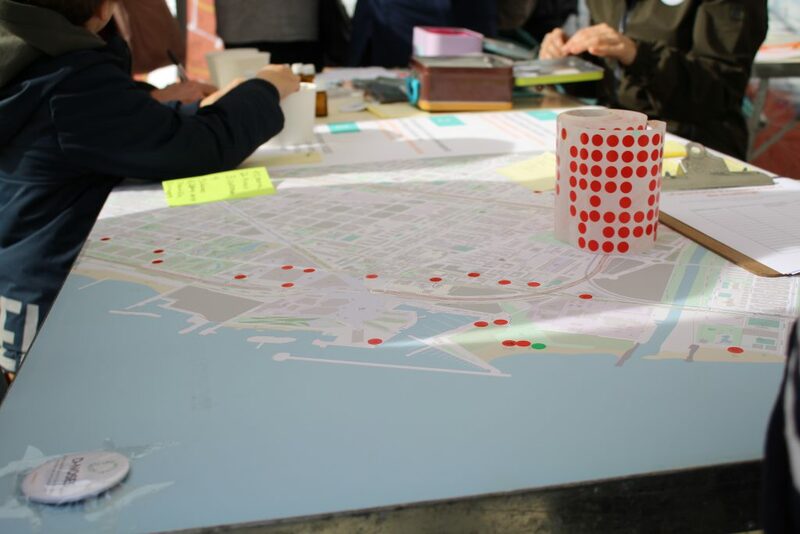 As part of the Science Biennal, D-NOSES partners Ibercivis and Ideas for Change (IFC) held an odour training and awareness workshop last Sunday 10th of February 2019 in the Fòrum area of Barcelona. 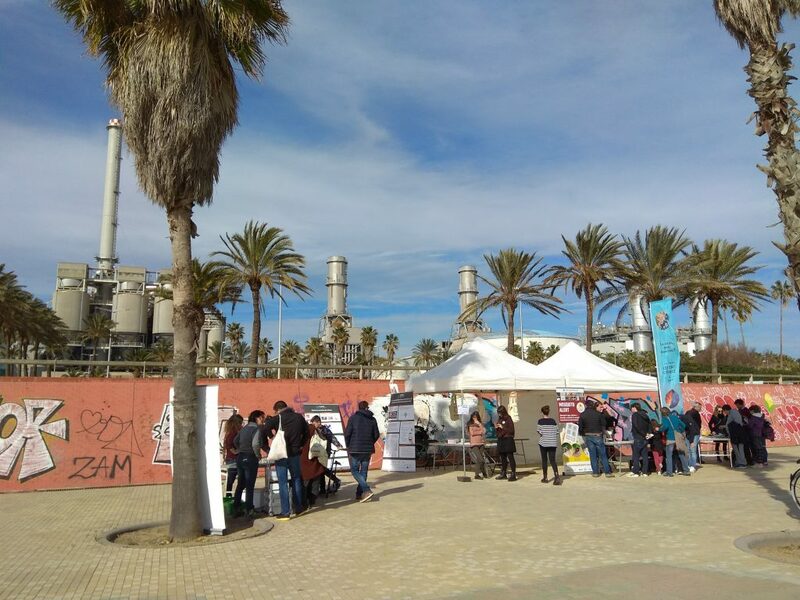 The Fòrum area has long been a focal point of bad smells; which D-NOSES proposes to resolve using citizen science to measure and validate the real impact on residents. 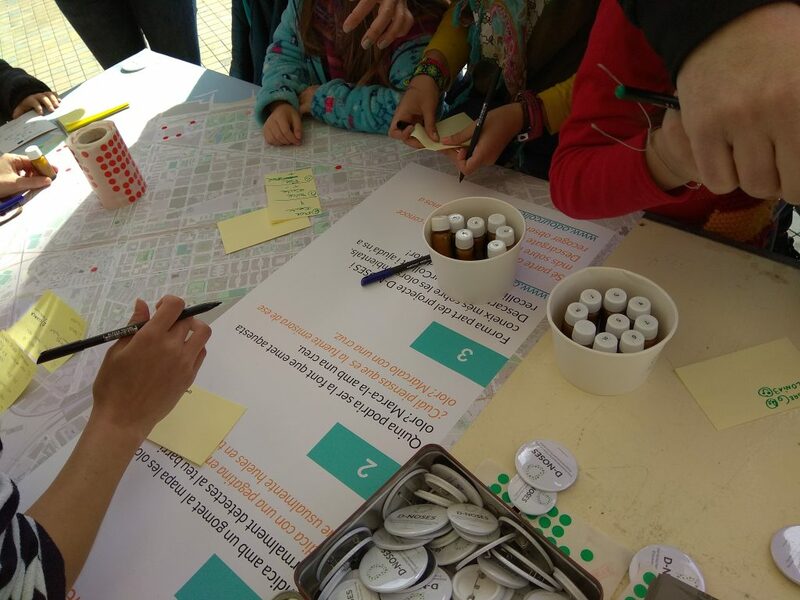 Visitors and their children were excited to learn about the environmental odours affecting their neighbourhoods and what could be done about them. 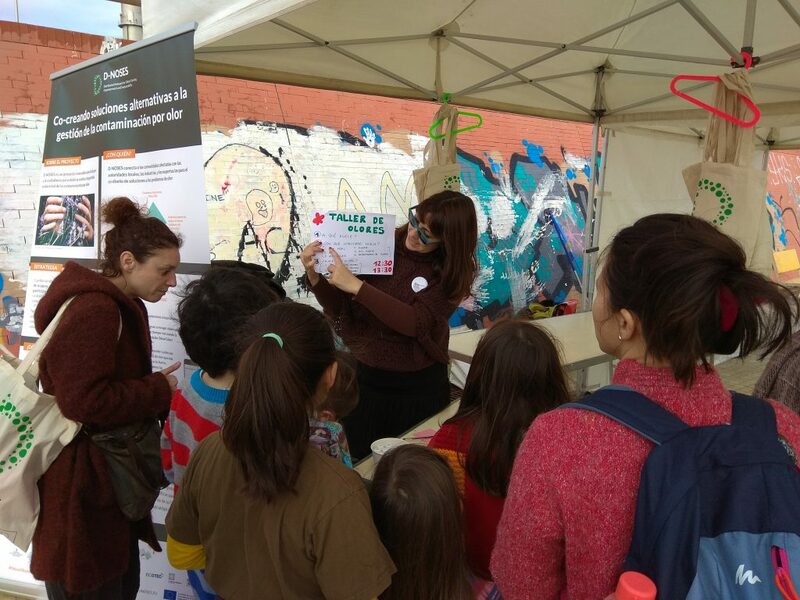 The human nose remains the best odour sensor we have available, and with a little training can deliver a scientifically accurate picture of the concentration and dispersion of odours. 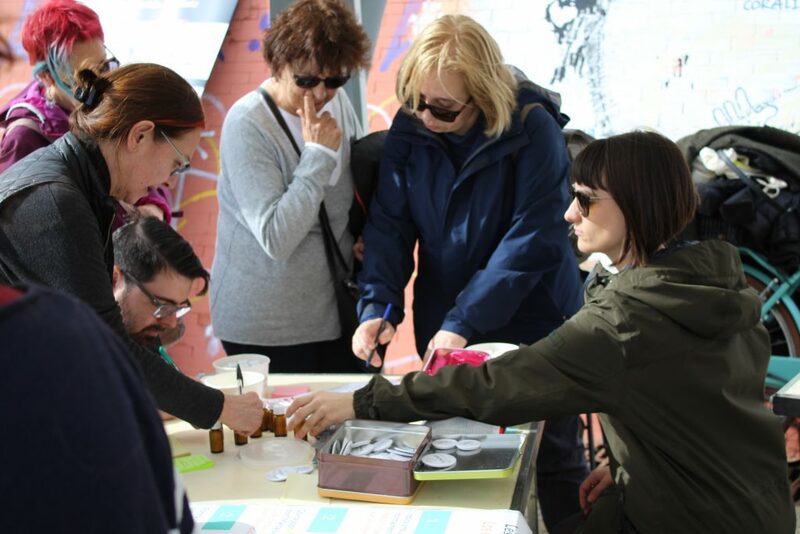 During the event members of the community were taught how to recognize the different types of odours and assess their impact by measuring the odour’s intensity and its hedonic tone (the extent to which an odour is perceived as pleasant or unpleasant). 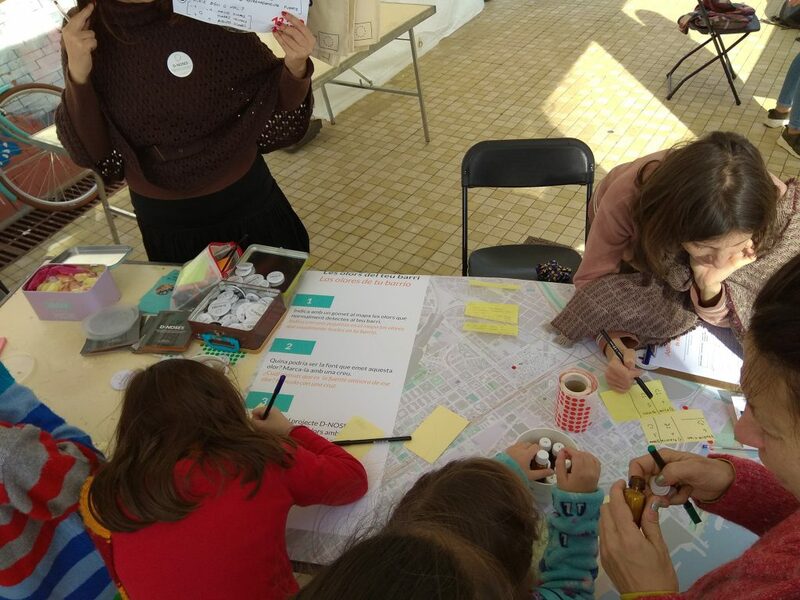 These characteristics tend to be subjective and can be associated with particular memories which led to some amusing answers from the children participating in the odour recognition exercise – such as “the smell of my grandma“. 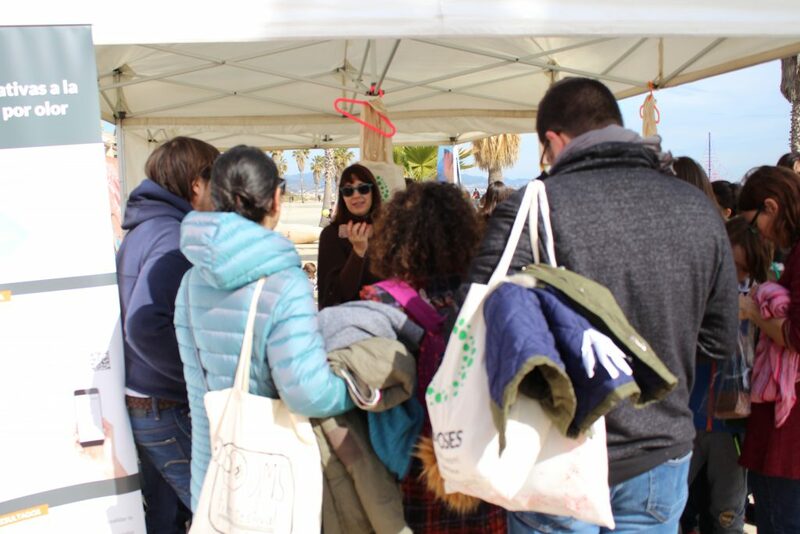 However, with some training, people learn to associate smells with the correct substances and can then reliably identify them. 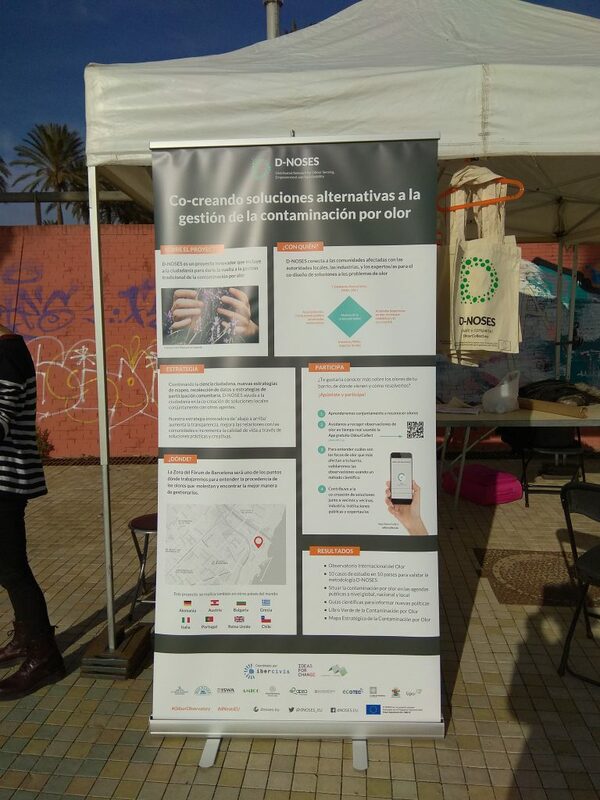 By empowering communities to map smells they come across in their daily lives, enough data can be collected to better understand the problem and work constructively together with industry and local government to propose practical solutions that can benefit all. 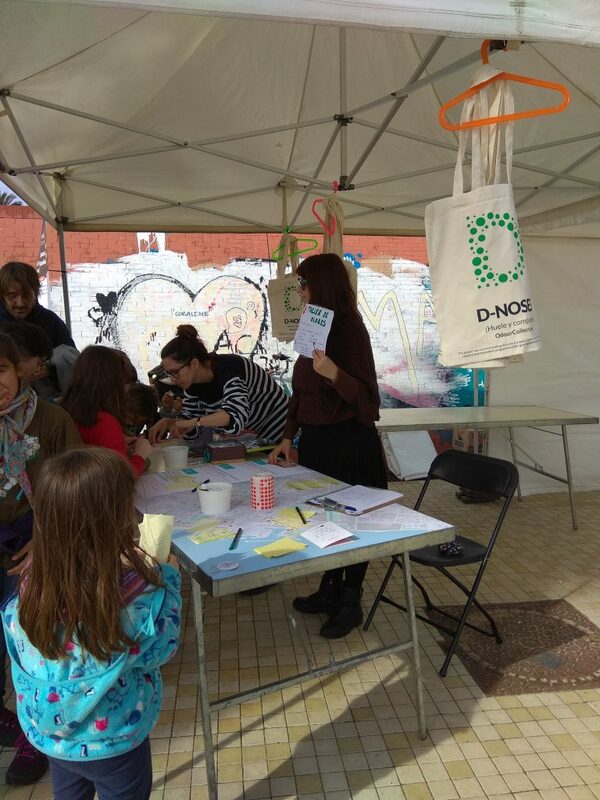 Follow the progress of the project and pilots by signing up to the newsletter and following D-NOSES on social media.